Hopefully the first home game in a quite a little while will be at the Guildford Spectrum, tomorrow night (Wednesday) the weather is good at the moment, but with the condition of the pitch on Saturday being more puddles than grass, a pitch inspection is scheduled for 1400hrs. Guildford lost in the previous fixture between these two, at the very beginning of the season, after being caught knapping and conceding twice in the first three minutes, they battled and eventually ran out 5-3 losers. Whilst it was disappointing to lose the first game of the season, at least it looked hopeful, as they proved that they could score. 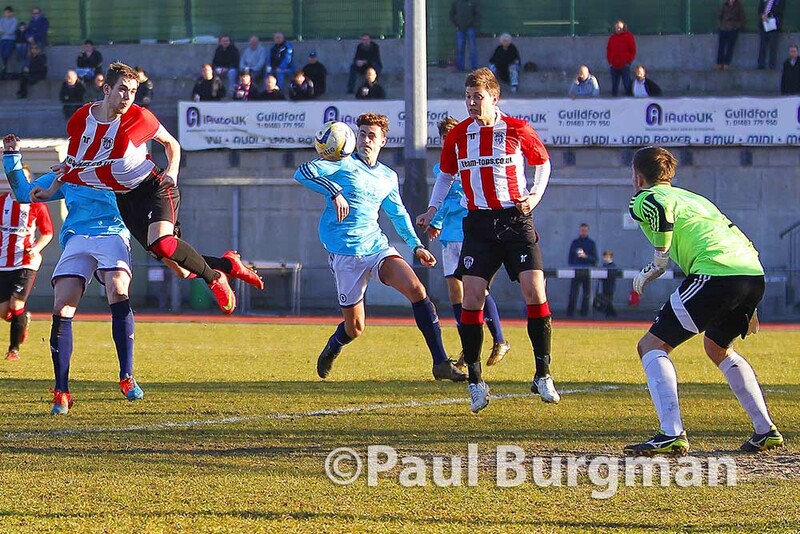 Subsequent defeats have left the City wallowing near the very bottom of the table, and a heavy defeat by Merthyr at the weekend may have dented their confidence, however it is not matches against the top teams that are the most important, City need to beat the teams that are around them in the bottom half of the table. Forthcoming matches against Fleet Town, Bishops Cleeve, Didcot Town, Evesham & Cinderford are the ones that they must win to stand a chance of avoiding relegation. This game coincidentally takes place 40 years to the day that Guildford City last played at their Stadium in Joseph’s Road, when they were cruelly shafted and robbed of their ground & Guildford were robbed of their football team.